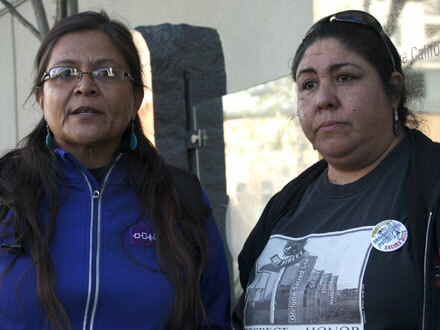 Crying Earth Rise Up tells the story of Debra White Plume and Elisha Yellow Thunder’s parallel search for answers to the question: Why are there high levels of radiation in our drinking water and how can we protect our families and community against this threat? 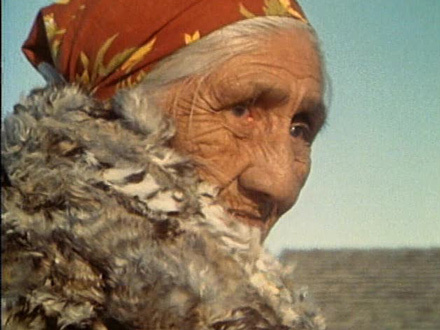 White Plume, a Lakota elder, views nearby uranium mining operations as one source of water contamination and as an encroachment on the water rights of the Lakota Nation. She takes action as the lead plaintiff in a case challenging uranium mining on tribal land, and as an organizer working to motivate her community to protect treaty territory from exploitation of their natural resources by corporate interests. Yellow Thunder seeks answers in the earth itself. During her pregnancy, she unknowingly drank contaminated water and her daughter, Laila, was born with severe medical anomalies. Laila and family await a kidney transplant. 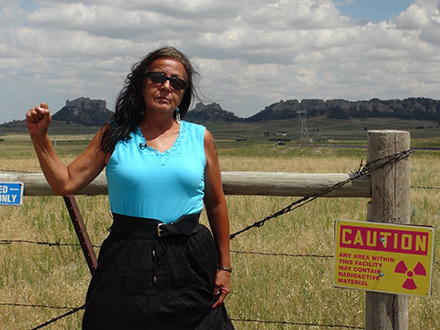 When Yellow Thunder can take time away from caring for Laila, she maps ore outcroppings on the Pine Ridge Reservation in search of uranium and the origins of the contamination. Meanwhile, community members from the mining town of Crawford, NE, Lakota health and environmental agencies, an organic rancher and project manager of a proposed uranium mine, lawyers involved in White Plume’s case, natural resources officials, a nuclear energy expert, farmers and ranchers, all grapple with the prospect of license renewal at the Crow Butte mine in Nebraska and the proposed expansion of mining operations to three additional mines in northwest Nebraska and western South Dakota. Observational footage, ruggedly beautiful Great Plains vistas, sit-down interviews, illustrations, and animated graphics combine to address the controversy surrounding the existing and proposed uranium mining operations over the High Plains/Ogallala aquifer. Native actress Tantoo Cardinal narrates the film, supporting its structure, ensuring clarity and acting as a reliable guide for the audience through the story. The film addresses the direct relationship between water and life itself, and the tragic irony that what is sacred may also be poisoning, even as nuclear power companies insist on the environmental safety of their industry’s practices and townspeople point to the mine’s essential role in fueling the local economy. Through characters who oppose and support the expansion of uranium mining over the High Plains/Ogallala aquifer (the largest fresh water underground source in North America), audiences engage with the important and timely issue of preserving and protecting the land and water. 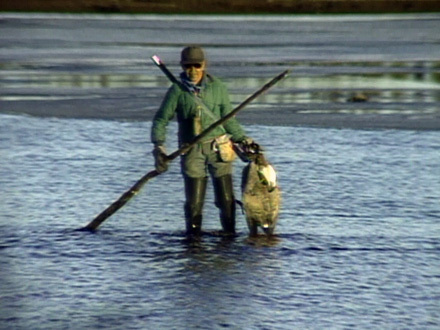 Native communities are commonly involved in debates about land use and environmental stewardship, particularly in the west, because of the historical exploitation of natural resources found on treaty land, Native religious beliefs that bind the people to nature, the Native philosophy of “seven generations” that mirrors the concept of sustainable ecological practices, etc. Crying Earth Rise Up acknowledges the centrality of Native involvement in opposing the particular practice of uranium mining and suggests Native communities’ wider spread contribution to a variety of other conversations related to environmental protection (although not always noted by mainstream media, e.g. the recent blocking of the TransCanada Keystone XL Pipeline).